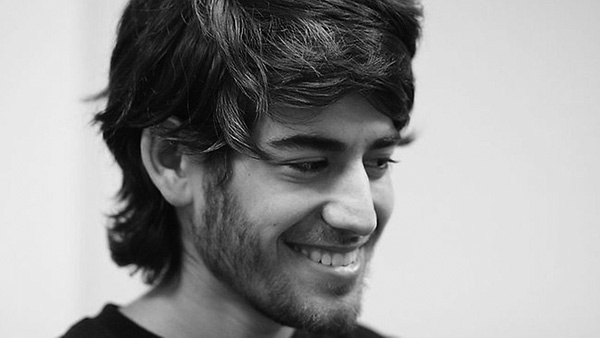 An outstandingly talented programmer and activist, the founder of RSS and contributor to the creation of Reddit and Creative Commons among numerous other projects and campaigns, Aaron Swartz (November 8, 1986 – January 11, 2013) took his own life at the age of 26. He was under federal indictment for alleged computer crimes. In line with the ideals Aaron Swartz fought for, one of the aims of the Open Society Archives is to broaden access to primary sources by overcoming technical, legal, geographic, and socio-cultural barriers. István Rév, director of Blinken OSA remembers Aaron Swartz. But all of this action goes on in the dark, hidden underground. It's called stealing or piracy, as if sharing a wealth of knowledge were the moral equivalent of plundering a ship and murdering its crew. But sharing isn't immoral — it's a moral imperative. Only those blinded by greed would refuse to let a friend make a copy..."
These are Aaron Swartz's words from his Guerilla Open Access Manifesto, written in July, 2008. He wrote the Manifesto in the Hermitage of the White Friars, near Ancona, Italy, where we first met at the pond in front of the main building of the monastery. He came to a meeting on the future of the library, but he was preoccupied by a much bigger question: how to unlock information, information related to knowledge of important things. "Providing scientific articles to those at elite universities in the First World, but not to children in the Global South? It's outrageous and unacceptable." – he wrote in his cell in the hermitage. He quit Stanford after a very short period of time, when he discovered that he was the only person who read books in the Green Library of Stanford; the others made use of their privilege, mentioned in the Manifesto. Aaron was invited to the Central European University in September, 2010, to take part at the "Internet at Liberty", Freedom of Expression and the Internet conference in Budapest. Over dinner we talked about the news we had received a few days earlier about JSTOR considering opening up its repository if it is payed $250 million. Aaron went back home to Boston a few days later, and decided to act in the spirit of his Manifesto. Instead of two hundred and fifty million US dollars, he paid with his life. Blinken OSA awards a fellowship each year either to an unconventional technology expert early in his/her career, or a scholar or activist working at the intersection of humanities, social sciences and technology studies or technological solutions. The fellowship is principally intended for those, with or without degree, who have strong practical skills in developing technological tools to make knowledge and data broadly available to the public; who have an interest in challenging information management practices in libraries and archives; who are ready to contribute to building innovative visual taxonomies or catalogs based on unorthodox ideas; and who can challenge the control of information by governments and publishers to promote civil liberties and online activism. proofs of concept on redeﬁning classical cataloging work with the help of emerging machine learning technologies (data classiﬁcation, neural networks); implementing a recommendation model; predicting the possible suﬃcient metadata towards automatic cataloging; generating a new kind of research experience through analysis of user behavior and usage statistics.